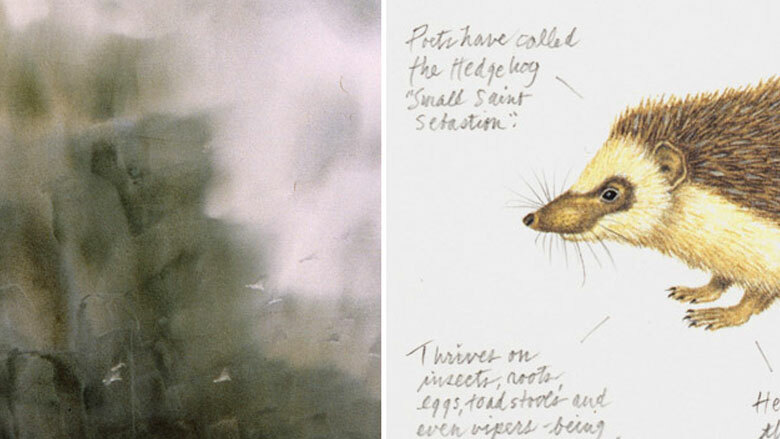 JoAnna Poehlmann's drawings, collages, and artists' books combine superb draftsmanship, meticulous observation, humor and a deep appreciation for nature. Lee Weiss makes large-scale, technically brilliant watercolors that distill the essence of her experience of the landscape. JoAnna Poehlmann's art is a rare combination of superb draftsmanship, meticulous observation, droll humor, and effusive joy. Since 1959, when Weiss began to focus intently on her painting career, she has had over 125 solo shows. The recipient of several individual honors and awards, Weiss has also participated in numerous group and invitational shows.